My curiousity worm woke up recently when I saw a bag of red lentils flour on a shelf in my health food store. I grabbed the bag immediately but then put it back after a few moments, thinking "What would you do with it anyway?". But the silly worm wouldn't let me go. And a week later I went back and this time the bag of this cute pinkish/orange flour went home with me and this time I knew exactly what I was going to do with it. 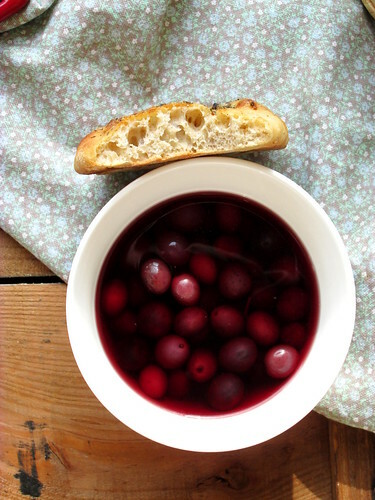 Autumn colours are inspiring, all those hues of yellow, orange, red and brown everywhere you look, and chilly rainy days simply call for something warm in your soup bowl. 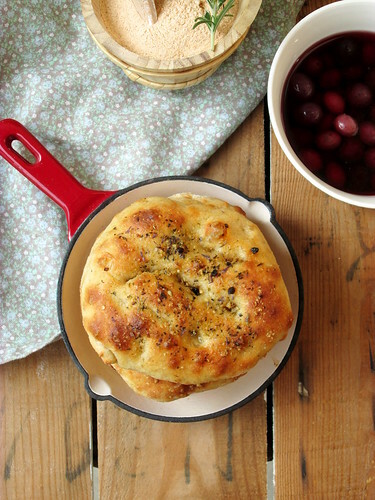 And for me, the most irresistible combination with soup is warm, crisp and soft at the same time, freshly baked focaccia. So where did my pinkishorange flour end up? 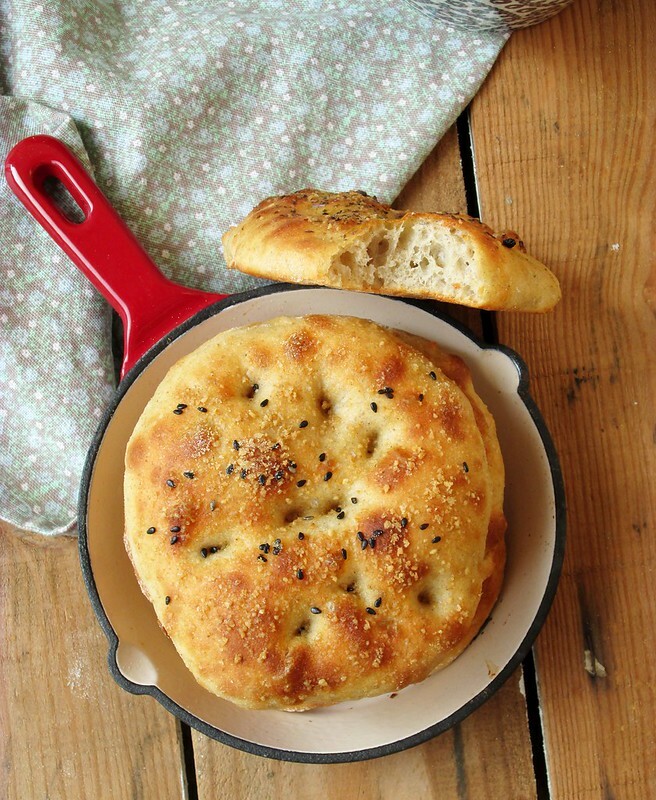 In a focaccia, of course. 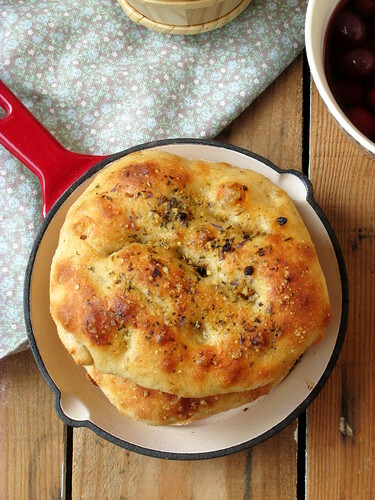 As for the topping I decided I'd give a different one to each of six little focaccias I made. Playing with black and white sesame seeds, and gomasio, and homemade tahini - yeah! sesame in three different forms! then some were seasoned in different combinations and one of my favourite ones was gomasio and a mix of dry herbs and flours. 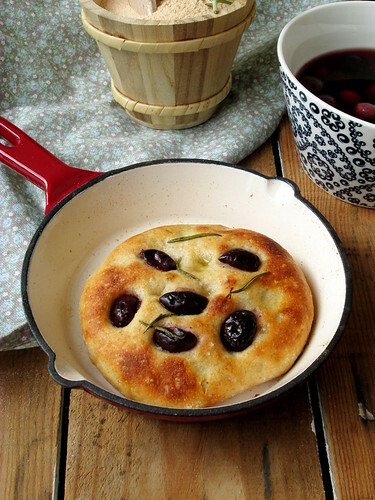 Making these focaccias with a really small quantity of sourdough starter I opted for a long and slow fermentation. The verdict: I can't wait to make these again. And they would be great not only with soups but for sandwiches, too, or some vegetable burgers as well. As for the red lentils flour, I have a few more ideas swirling in my head... to be realised as soon as I can find enough time for more kitchen experiments. Pour 50 g of boiling water over red lentils flour, stir well to hydrate the flour, then cover and let cool and rest for at least 2 hours, even better overnight. Mix the wheat flour and the remaining 175g of water and autolyse for 1 hour. After the autolyse add the red lentils mix and the ripe sourdough starter. Mix well to combine. Let the dough rest for 1/2 hour. Add the olive oil first, let rest 1/2 hour again and add salt as well. 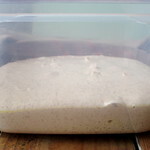 Give the dough one round of three-folds, then place it in a container and let rise until doubled in size (for me it took all night, around 12 hours roughly). 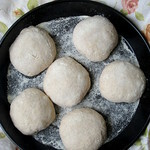 Dived the dough into 6 pieces, and shape each into a ball. 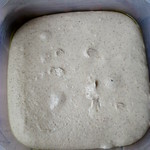 Dust with flour, cover and let proof for 1 to 2 hours. Flatten each ball slightly, spread some olive oil and water emulsion on top, season with whatever you like (fresh or dry herbs, sesame seeds, gomasio, tahini ecc.) and bake them in an oven preheated to 250°C until golden brown on top. * 15 g di li.co.li. Mescolare la farina di lenticchie con 50 g di acqua bollente. Coprire e lasciare raffreddare e riposare almeno un paio d’ore o anche tutta la notte. Mettere in autolisi la farina di grano tenero con la restante acqua per 1 ora. Unire le due miscele e aggiungere il lievito. Impastare finché l’impasto sarà omogeneo. Far riposare ½ ora poi unire l’olio e successivamente il sale. Far riposare ½ ora e fare un giro di pieghe a tre. Sistemare in un contenitore e far lievitare fino al raddoppio (per me tutta la notte, circa 12 ore), a temperatura ambiente. Dividere impasto in 6 pezzi da circa 90 g l'uno, formare palline e farle lievitare 1-2 ore circa. 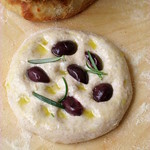 Stenderle leggermente, condire con emulsione di acqua e olio, cospargere a piacere con erbe secche o fresche, olive, ecc. 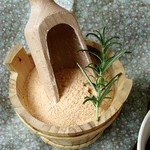 (io su alcune ho messo tahini – la pasta di sesamo, e gomasio, semi di sesamo nero e un misto di erbe secche e fiori). Cuocere le focaccine a 250°C finché dorate in superficie. Prelijte brašno od leće s 50 g ključale vode, izmiješajte dobro vilicom, pokrijte i ostavite smjesu da se ohladi i odmori barem dva sata, još bolje preko noći. Pomiješajte pšenično brašno s preostalih 175g vode, i ostavite u autolizi 1 sat. Nakon toga dodajte smjesu od slanutkovog brašna, kvas (prethodno nahranjen i ostavljen da fermentira na sobnoj temperaturi 3-4 sata ili dok se ne udvostruči). Izmiješajte dobro da se tijesto ujednači. Ostavite da odmara 1/2 sata. Dodajte maslinovo ulje i izmijesite dok ga tijesto ne upije. Ostavite ponovno da odmara 1/2 sata a zatim dodajte sol i ponovno premijesite. Odmorite tijesto ponovno 1/2 sata a zatim ga preklopite jedanput na trećine (rastanjite tijesto rukama na kvadrat, pa preklopite gornju i donju trećinu prema sredini tako da se preklapaju, i isto to napravite s lijeva i desna). Smjestite tijesto u plastičnu posudu s pokopcem i ostavite da se diže na sobnoj temperaturi najmanje 12 sati odnosno dok se ne udvostruči volumen. Podijelite tijesto na 6 komada, svaki težak otprilike 90 g i oblikujte loptice. Pokrijte ih i ostavite opet 1-2 sata da se dižu. Svaku lopticu lagano rastanjite (na otprilike 1,5 cm debljine) i premažite emulzijom koju ćete pripremiti tako da pomiješate istu količinu maslinovog ulja i vode (najbolje u manjoj staklenki s poklopcem koju možete dobro protresti, jer ulje i voda neće dugo ostati pomiješani, nakon par minuta će se ponovno razdvojiti). Dodajte sastojke po želji: masline, ružmarin i/ili drugo suho ili svježe začinsko bilje, sjemenke sezama, gomasio, tahin itd. Pecite focacce u dobro zagrijanoj pećnici na 250°C dok ne dobiju lijepu zlatno smeđu boju.